After returning home from my recent voyage to Cozumel, Mexico, I've been dreaming of the beautiful dishes I saw in the marketplace. But there's no reason to head out of the country to snag a fabulous southwestern-style dinnerware set, because BrylaneHome is featuring their stoneware Santa Fe Collection just in time for Cinco de Mayo! These colorful hand-painted, striped dishes help me set up a party atmosphere for all my summer meals and barbecues. Each piece features a base color of red, yellow, green or blue, then coordinates with the other colors in contrasting stripes. They are great for entertaining guests! The pieces in this BrylaneHome exclusive set can be mixed and matched in any combination. The Santa Fe Collection includes four dinner plates, four appetizer/dessert plates, four bowls, and four mugs. I even noticed a matching 20-piece striped flatware set on the BrylaneHome website! This exclusive BrylaneHome dinnerware set is microwave-safe and dishwasher-safe, so preparation and cleanup is quick and simple. The the big 20-ounce bowls are perfect for red beans and rice, tortilla soup, or a sweet dessert of fried ice cream. Mix up a Mexican coffee cocktail in these colorful 10-ounce mugs by adding a one-ounce shot of coffee liqueur and a half-ounce of tequila to your coffee. If you prefer a non-alcoholic Mexican beverage, try some hot chocolate with a bit of cinnamon mixed in. The dinner plates measure 10-1/4 inches, so there is plenty of room to load up with your favorite Mexican-style foods. Just setting my table with these bright, beautiful stoneware dishes puts me in the mood for a fun fiesta with my family and friends! Need ideas for filling the 7-1/4 inch appetizer plates? Toss a garden salad with some cilantro and salsa, cook up a couple of quick quesadillas, or combine some refried beans and cheese with nacho chips. The smaller plates are also the perfect size for serving sopapillas and honey for dessert. I love these dishes so much! Are you planning a special meal to celebrate Cinco de Mayo? What would you serve on your Santa Fe dishes? I created an Enchilada Pasta recipe to serve on my beautiful new dinnerware set and it turned out so delicious I wanted to share it with you. Let me know if you try it! Prepare ground beef and egg noodles, combine in large bowl. Preheat oven to 350 degrees F. Add 2 cans cheese soup, 1 cup enchilada sauce, and 1 cup milk to the bowl of beef and noodles, stir well. Spray a casserole dish with cooking oil and spread pasta mixture in the bottom. Sprinkle shredded cheese over the pasta mixture, top with black olives, then cover with aluminum foil. Bake for 30 minutes, remove from oven, and let sit 5 minutes before serving. Celebrate all year round with the Santa Fe Stoneware Dinnerware Collection, exclusively at BrylaneHome! 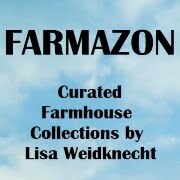 They offer fabulous products, great prices, and special savings offers for their lucky email subscribers. 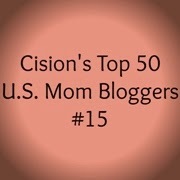 Be sure to follow them on Facebook, Twitter and Pinterest too. Happy Cinco de Mayo! As an early childhood professional for over 20 years, I can attest to the fact that playing with molding dough is an activity that develops children's skills in many areas. Did you know that when preschoolers play with dough, it strengthens their fingers for fine-motor activities like writing? It also fosters eye-hand coordination, sparks creativity, and enhances tactile perception. Best of all, it's fun! Lumi Dough has created an amazing molding play dough kit with dough that glows in the dark! This fantastic kit comes with five big pouches of assorted colored dough, a small packet of black dough for details, a play mat, plus fun accessories. Lumi Dough's luminous, semi-adhesive, silicone material can be stretched, bent and shaped into anything a child can imagine. Make it and bake it and it will stay glowing and bendable forever! It's non-toxic, antibacterial, and washable too. When I was working with preschoolers, I used to sit with them and create right along side them. Playing with Lumi Dough brought out the kid in me once again. In just minutes, I created this adorable little penguin. Your kids will have so much fun with Lumi Dough! Visit www.LumiDough.com to purchase your child a Lumi Dough Kit. Right now, they have a special offer on their website where you can get one FREE when you purchase one! They even offer a 30-day money back guarantee. Don't miss out! I am so excited to be a Papa Murphy's Mom! I recently received my fabulous Welcome Package in a darling Mini Murph pizza box, that included my welcome letter, a pizza cutter, logo napkins, Herb and Cheese Blend shaker, Red Pepper shaker, family conversation cards, and a gift card to try out their pizza. Being the pizza-lover that I am, I could hardly wait to try it out. I used the Papa Murphy's locator on their website to find my closest location and was surprised to find it right near the grocery store where I shop. As I walked in, I commented to my husband that I was pleased to see they even accept food stamps, because they offer fresh foods for purchase that people can take home and bake themselves. Papa Murphy's offers SO many different kinds of pizza plus the opportunity to create your own combination from their many toppings. It was hard to choose, but we finally settled on a large Papa's All Meat. We also picked up one of their Garden Salads and a tub of Chocolate Chip Cookie Dough. Our Papa Murphy's pizza came on its own bake and serve tray, specially designed to provide a light, fluffy, crispy, perfectly browned crust. I love their slogan - "Love at 425 Degrees." Our pizza cooked to perfection in the exact amount of recommended time. Papa Murphy's pizza is incredibly delicious! It tastes so much better than any frozen pizza I've ever had from the grocery store and I know for a fact it wasn't bounced around in the trunk of a teenager's delivery vehicle. My husband used to make pizzas many years ago and his comment was, "Now THAT is a GREAT pizza!" The salad was the perfect complement to the pizza and it tasted just as fresh as the pizza I watched them prepare for me. The friendly employees even made sure to tell us their cookie dough is prepared in a way that it can be eaten raw, which thrilled my husband, so I left him a few snack pieces while I baked up the rest of the cookies. In just 12 minutes, I had perfectly prepared cookies! If you've never tried Papa Murphy's pizza, get in your car and go try it today. There is a huge taste difference when you are eating pizza that is freshly prepared and I know you'll love it as much as I do! Check out their entire menu at www.papamurphys.com and find your nearest location. 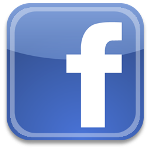 You can also connect with them on Facebook, Twitter, and YouTube. You can also sign up for their Eclub and get fresh-baked savings right in your inbox. I also just got word of a special promotion for Mom's Nite Out on May 8, 2014 ONLY. Go HERE to get a coupon for the Mom's Meal Deal, and for only $12, you can treat your family to any large 2-topping pizza and your choice of 2 sides: Cheesy Bread, Cookie Dough, Cinnamon Wheel or S’mores Pizza. Gift Pack in Five Amazing Flavors! Down here in Texas, my family loves to use hot sauces of all kinds to spice up our meals. 505 Southwestern Sauces are incredibly fresh, picked at the peak of harvest from the Hatch Valley in New Mexico, then flame-roasted and flash-frozen. These sauces are all natural, made from the finest vegetables, fruits, spices, and herbs. On top of all that, they have no trans fat and are gluten-free! 505 Southwestern Sauces are delicious and versatile. I've been using all of them in many of my recipes, and they are also excellent as a garnish or dip. The Honey Chipotle Salsa is amazing as a chip dip and quesadilla garnish. The Flame Roasted Green Chile has topped my red beans and rice, as well as spiced up my spaghetti. The Green Chile Medium Sauce is the perfect way to spice up my scrambled eggs and on mornings where I need an extra boost, I use the Green Chile Hot Sauce. 505 Southwestern Sauces make it so easy to create a gourmet-style meal without having to do anything more than add the sauce. My biggest score of the week (according to my husband) was my homemade Enchilada Pasta that I created with the 505 Enchilada and Tamale Sauce. I'll be sharing that recipe later this week, so keep an eye out for that one. 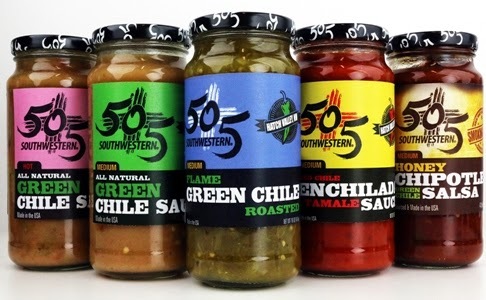 505 Southwestern Sauces and Salsas are now available in your local HEB Stores and you can shop the 505 website too! To enter, just fill out the Rafflecopter form below! One winner will receive a mixed case of five incredibly delicious sauces and salsas. Only the first entry is mandatory, but bonus entries will increase your chance to win this tasty prize. Open to USA residents ages 18+. 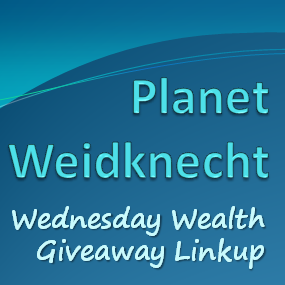 Giveaway ends at midnight on 5/11/2014. Good luck! Tortatos - Tortilla Chip or Potato Chip? What do you get when you cross a tortilla chip and a potato chip? Tortatos are the world's first-ever cross between the two! This healthy snack tastes like nothing else on the market. They are available in four mouth-watering flavors including Original, Salt and Pepper, Salt and Vinegar, and Barbeque. Like all of the RW Garcia chips, Tortatos are all natural, Non-GMO Project verified, gluten-free certified, and they contain no additives or preservatives. They have no cholesterol and are very low in sodium, fat, and sugar. I can actually pronounce and understand all the ingredients in Tortatos! The consistency of a Tortatos chip is also unique. It's solid and hearty like a good tortilla chip, so it doesn't break under the weight of a dip, but it's not hard to bite into because it's crispy like a potato chip. My favorite flavor is the Barbeque, followed closely by the Salt and Pepper. Tortatos are uniquely delicious! I love to eat them straight out of the bag, and adding a dip or salsa takes them over the top. Try them today! Learn more about Tortatos at http://www.rwgarcia.com/products/tortatos/ and follow them on Facebook and Pinterest! You can purchase them at Central Markets throughout Texas and at select Target stores starting in June 2014. Today, more than ever, we depend upon our electronics. Nearly everyone has a mobile phone and tablets are quickly becoming just as popular. Keeping my electronics charged, especially when I'm traveling or away from the house for the day, has become a constant challenge. Fortunately, Duracell has just released it's brand new Portable Charger Set! These compact, powerful backup batteries for iPhones and other electronic devices provide me all the power I need when I'm on the go. This fantastic new bundle, available for the first time ever at all 600 Sam’s Club locations around the USA, consists of two separate backup batteries for both daily and long-term electronics usage. The smaller of the two is the Go Power ‘Day Trip’ powermat. It provides the perfect daily dose of power to more than double the life of an iPhone with an additional 1850 mAh of Duracell grade lithium ion battery power. I'm constantly on my iPhone, taking photos, sending texts, and checking my social media accounts, so this handy little tech gadget has been a super booster for me, with up to 8 hours of additional talk time. 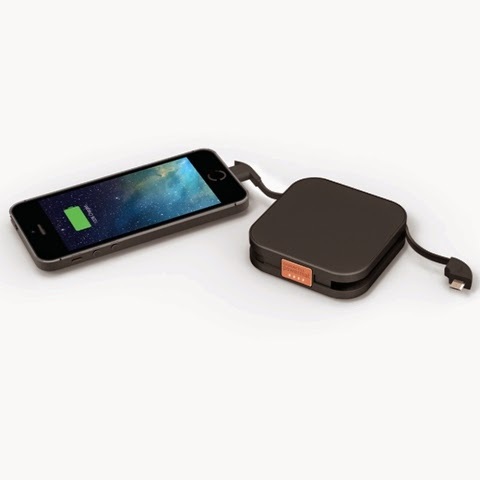 The Go Power ‘Long Haul’ keeps my mobile devices charged up and ready to go for days. 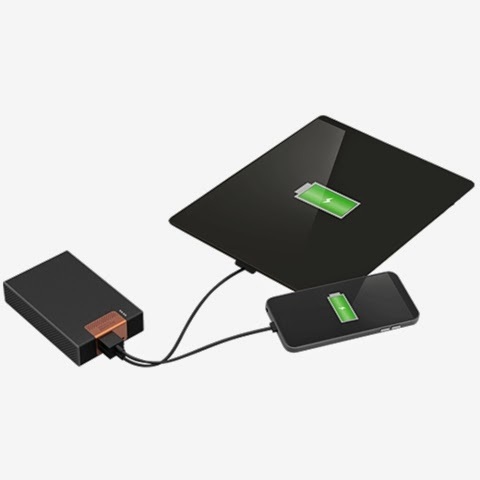 Plus, like all Duracell Powermat products, it recharges wirelessly, putting the power at my fingertips when I need it most. It gives me up to 40 hours of additional power. Every family should have one of these, especially in the event of a power outage emergency! Don't wait until it's too late! You can purchase the Long Haul for $129.99 or the Day Trip for $59.99 at DuracellPowerMat.com. Or you can purchase them both in a bundle at your local Sam’s Club for $129.99. That’s a savings of $59.99 right off the bat. 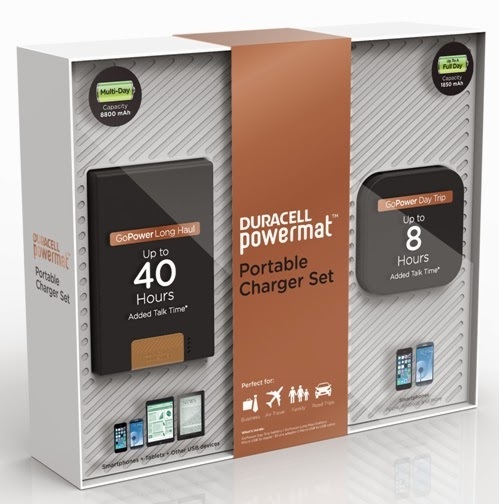 Win a Duracell Powermat Portable Charger Set! To enter, just fill in the Rafflecopter form below. You must be at least 18 years old and reside in the USA. Only the first entry is mandatory; bonus entries will increase your chance to win this fantastic set. 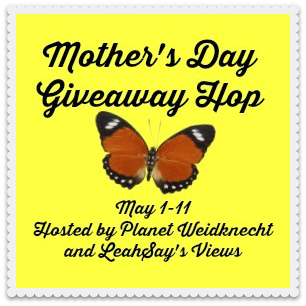 Giveaway ends on 5/16/2014. Good luck! Disclosure: I was provided lunch in exchange for my honest review. Elevation Burger is elevating your burger experience with their delicious menu. Their mission is to provide you with 100% organic, grass-fed, free-range food choices that are better for you and your family. In addition, each Elevation Burger restaurant is focused on sustainability and eco-friendly practices. I met Danny Bone, one of the owners of Elevation Burger, for lunch at the Northcross Mall location at 2525 W. Anderson Lane, one of the two Austin Texas locations. He showed me around the restaurant and one of the things I really liked about it was the open-kitchen concept that allows guests to see their food being prepared. Elevation Burger features an open drink station, featuring the best Cinnamon Orange Tea I've ever tasted. As I looked over the menu, I overheard several guests raving about their burgers, so I figured I was in for a real treat. I was first provided one of their burgers straight off the grill, so I could try the organic, grass-fed, free-range beef they serve and there is definitely a real difference in taste. I decided to sample a couple of different menu items to get a good feel for the both the preparation and the taste. I ordered their signature Elevation Burger that comes with two organic beef patties. Their menu allows each guests to customize toppings, so I asked them to add their 6-month-aged unprocessed cheddar, organic bacon, mushrooms and onions. I also selected a veggie burger, made with organic whole grains, corn and carrots. I had them top it off with fresh lettuce, tomato and mustard. Their tasty french fries are prepared in heart-healthy olive oil and I'm definitely partial to the thinner french fry shape. Look at all those fries! The veggie burger was really good and I'm not usually one to choose anything other than beef. It's definitely better than any other veggie burger I've ever had. It's a great option for guests who prefer a vegan diet. But, I could hardly wait to sink my teeth into that beautiful bacon-topped beef burger and I was not disappointed. It's absolutely heavenly and the combination I chose tops the chart of best burgers. Make sure you taste their cheese! I packaged up all of my leftovers to take home with me for dinner, but not before trying their scrumptious Oreo Cheesecake Shake. It's a dessert not to pass up! I encourage you to go see for yourself what a delicious, healthy burger meal you can get at Elevation Burger. I will definitely be back. Beat the heat this summer with a fabulous selection of water shoes at SwimOutlet.com for the entire family! It will soon be swimming season and along with that comes visits to the pool, the beach, the lake and the water parks. We've got a brand new water adventure park opening up locally this year and I'll be ready with my new pair of Sporti Women's Trainer Water Shoe II. These water shoes are as comfortable as they are cute! They drain quickly and are very lightweight even when they are soaking wet. My feet will be protected from hot pavement at the pool and rocks on the bottom of the lake, plus the specially designed non-slip tread on the bottom will help keep me on my feet. The single-cord lacing with a bungee-pull and toggle keep my shoes on my feet even on the wildest of water slides. SwimOutlet.com is the internet's most popular swim shop because they offer a great selection of comfortable water shoes, fashionable swimwear, and all the swim gear you'll need to enjoy every last drop of summer fun. 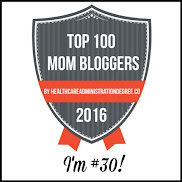 Every time I've visited their website, I've found fabulous prices and sale markdowns too! Visit www.swimoutlet.com today and order water shoes for everyone in your family! Check out their free shipping offers and low-price guarantee. You can also connect with them on Facebook and Twitter, plus when you sign up for their weekly emails, you'll get exclusive offers! Enter below to win a $50 SwimOutlet.com Gift Card to purchase your own pair of water shoes! To enter, just fill in the Rafflecopter form. You must be at least 18 years old and reside in the USA. Only the first entry is mandatory, but the more bonus entries you complete the better your chance of winning! Giveaway ends at midnight on 5/16/2014. Good luck!